Born in Brooklyn, NY, Rich has worked in both commercial and fine art fields in New Jersey since graduating Rutgers University. he studied with artists John Vincent Moore, Keith Sonnier and Al Hansen. 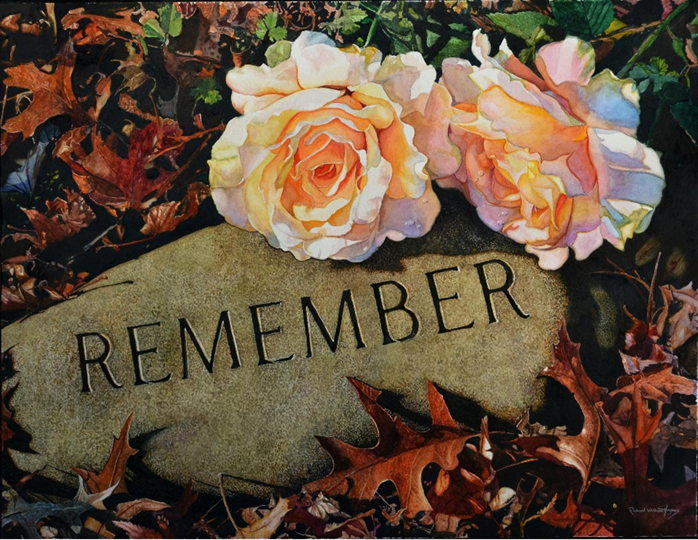 Prior to 1983, Rich painted large canvasses, his subject matter consisting of abstracts, florals, fantasy, surrealism, and Art of the Fantastique. 1983 marked his first "brush" with miniaturism when he attended a Miniature Art Society of New Jersey exhibition. He exchanged his oils for opaque watercolor, and by 1988 he became an elected member of the Miniature Artists of America (MAA). 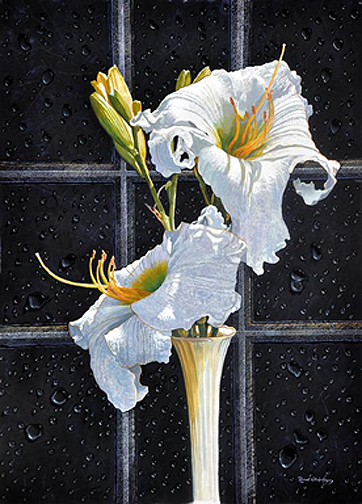 With realism now his preferred style, he painted landscapes, seascapes, wildlife Americana, florals and still lifes in miniature, winning both national and international awards, now in private and corporate collections. It was during this time that he began collecting orchids, discovering a wealth of subject matter in these fascinating blooms. When he started a home in Fairfield in 1990, he landscaped with raising blooming subject matter in mind. 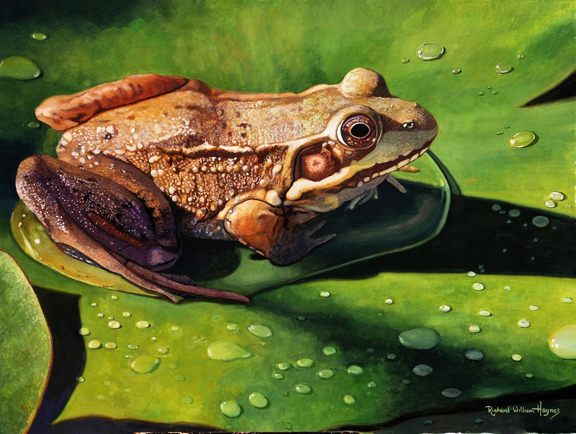 In 1994, realizing some of the constraints of miniature art, Rich returned to painting larger work, but this time taking with him the knowledge and appreciation of realism rooted in nature, and the appreciation for natural composition and detail. "Painting is my religion. It's also a form of meditation where I focus on only one idea and where I can immerse myself in thought and reaction to line, form, color and texture. The creation and evolution of this process is deeply, inexplicably satisfying. While Abstraction is my first love, the rules of familiarity make realism less flexible and forgiving, therefore much more difficult to paint. Whether I paint large or in miniature,, the same painterly thoughts and creative energy used for realism must have its roots in solid abstraction. My love for detail, painting plant portraits, Americana and nature help to satisfy my need to create a world of my own, a few square inches or a few square feet at a time." Since 2000, Rich has been concentrating almost exclusively on florals of daylilies, irises, peonies and orchids. "I may not be painting Giverny," Rich says, "But the wealth of information in a small garden can keep me busy for decades." Richard also accepts a limited number of commissions per year for home, garden and pet portraits. Richard William Haynes' paintings have won national and international awards, and his work appears in both private and corporate collections. 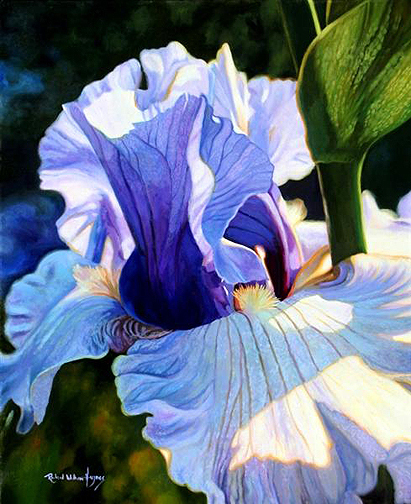 His work was featured by International Artist magazine in two of their publications after winning second place in their International Competition for Florals. 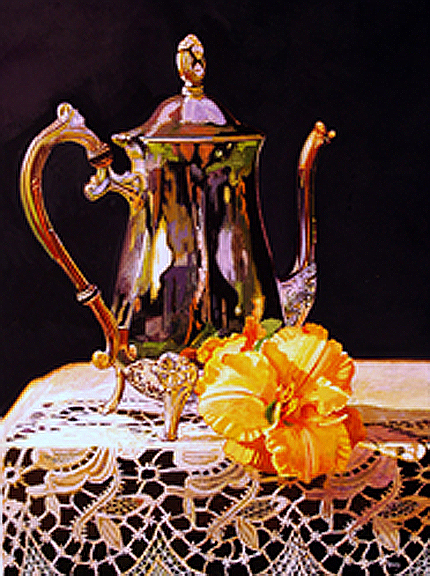 In 2009, he was the Grand Prize winner for Still Lifes and Florals. For a better view, click on each image, the use your browser's back button to return to this page. opaque watercolor, 20 x 26"
opaque watercolor, 18 x 24"
opaque watercolor, 21 x 28"
opaque watercolor, 10 x 7"
opaque watercolor, 28 x 20"
oil on canvas, 33 x 27"
All images (c) Richard William Haynes, AWS, MAA. All rights reserved.